This is a simple tapered brush that you can use to add decorative dimension to your calligraphy or lettering pieces using the Procreate App for iPad. 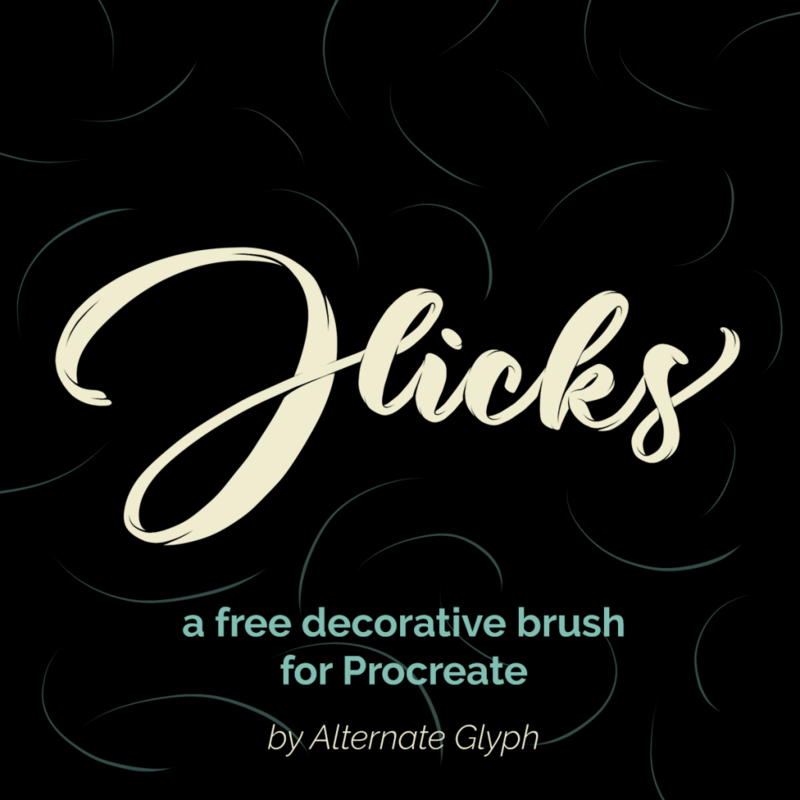 The Flicks brush works with any stylus or even your finger, since no pressure is involved in the effect. Use it in combination with any calligraphy brush – I’ve included a bonus basic calligraphy brush that was used in all of the example images above. Be sure to look at all the images to see how this effect is achieved. Experiment with the direction of the flicks and notice how it changes the illusion of which parts of the letter are in the foreground and in the background. Overshoot the edges of the letter for a clean exit on each flick. If you like this brush, kindly consider purchasing my Premium Streaker Pack, which is an excellent companion if you like shiny looking letters! All my brushes are made with care and a desire to deliver the best possible design tools. I appreciate any feedback you might have on this or any of my brushes. I love to see what you make! Don’t forget to tag #alternateglyph or @puchi_melissa on instagram when you make something great with these brushes.